Regional studies based on integrated seismic, gravity and magnetic (SGM) interpretation. 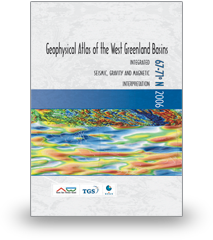 The geophysical atlases are mainly focused on reducing exploration risks prior to licensing rounds in frontier areas of the continental shelves offshore Norway and Greenland. We have extensive experience in geological and geophysical interpretation of the NE Atlantic conjugate margins, including the Møre and Vøring basins, the Barents Sea, and the continental margins of West and East Greenland. 22nd licensing round edition. 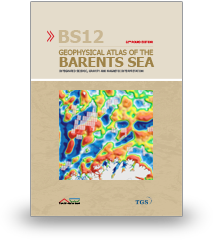 Geophysical atlas, basin modeling, and case-studies with focus on the Norwegian Barents Sea. 22nd licensing round edition. Focus on sub-basalt prospectivity and basin modeling of the outer Vøring and Møre basins. First licensing round edition. 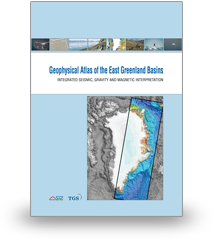 Structure, development, and petroleum potential of the northeast Greenland shelf. 2006 and 2004 licensing round editions. Structure, development, and petroleum potential of the Disko West and Ungava/Fylla areas. 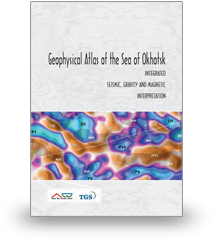 Regional structure, geological development and hydrocarbon prospectivity of the Sea of Okhotsk and Sakhalin areas.